c, Lending to Europe: The first significant document of the effort advocating the mobility of collections was formulated by a group of international experts in 2004, during Netherland’s EU presidency. This report was entitled Lending to Europe. After elaborating on these topics, the group of experts formulates recommendations at all three levels concerned: the museum professionals, the Member States, and the EU Institutions. Encouraging Collections Mobility – A Way Forward for Museums in Europe was launched on the 25th of September 2010 at the annual meeting of NEMO where the participants greeted the book with great enthusiasm. Should they have easier access to those parts of each other’s collections that are being underused? Encouraging Collections Mobility – A Way Forward for Museums in Europe offers some starting points for working together and sharing collections. It provides information about the history of collecting and suggests different ways to approach the collections and collecting related activities. It proposes that museums should rather be encouraged to build collection strategies of the 21st century than repeating the old pattern that is based on the idea of eternal growth. e, Action Plan for the EU Promotion of Museum Collections’ Mobility and Loan Standards: The lending and borrowing of cultural objects and works of art – the mobility of collections – are essential activities of museums. Best practices, commonly applied loan standards and guarantee schemes provided by EU Member States, encourage museums of various sizes and in all parts of the European Union to share a wider scope of cultural objects and thus help citizens in Europe to understand and enjoy the diversity of their common European cultural heritage. This action plan contributes to the implementation of Council Resolution Nr 13839/ 04 that established mobility (works of art, art collections and exhibitions) as one of five priorities in the work plan for Culture 2005— 2006. The subsequent EU Presidencies were entrusted with continuous steps to improve cultural co-operation in the European Union. During the Austrian Presidency of the European Union a team representing six successive presidencies (2004—2007) met in Vienna in spring 2006 to draw up an action plan concerning loans for exhibitions between museums in the European Union 1. The draft action plan was discussed in the Encouraging the Mobility of Collections conference in Helsinki 21 July 2006 and endorsed by the Cultural Affairs Committee 17 October 2006. The document and its objectives arose from active efforts of the Council, the European Commission, EU Member States and experts to encourage the mobility of museum collections which has been taking place since 2002 2. The theme has been developed further in five major conferences in Greece, Italy, the Netherlands, the United Kingdom and Finland 3. During the Netherlands Presidency a group of European museum experts prepared the report Lending to Europe which identifies the central thematic areas and contains practical recommendations for museums, member states and EU institutions. Lending to Europe was widely welcomed during the Council of Ministers of Culture on 23 May 2005. The so-called Bizot Group was established by the directors of the world’s most prominent art museums in 1992, on the initiative of Iréne Bizot, the chairman of the association of French museums (Réunion des Musées Nationaux). The group is formal, a new member, who is always the director of an institution, can only be admitted through an unanimous vote of all the members. 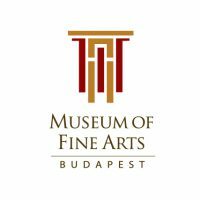 Dr. Baán László, director general of the Museum of Fine Arts was admitted to the group in 2006. The group has regular meetings during which the conceptual, theoretical and practical matters of the day-to-day work and the cooperation of museums are discussed. The public knows little about the group’s work. They first published a statement in 2002 about the significance and the role of universal museums (Declaration on the Importance and Value of Universal Museums) according to which the treasures acquired by great cultures in earlier decades do not only benefit the nation of the museum preserving the artworks , but all of humanity. The document published by the group in1995 and later revised in 2005 was entitled General Principles on the Administration of Loans and Exchange of Works of Art between Institutions and has since become a significant reference. Museum directors participating in the group have all agreed to act upon the loan principles listed in the document with one another. The Group of Exhibition Organisers was requested by the Bizot Group to modernize these principles. In two instalments, the leaders of this group reformulated the chapters about couriers and artefact loans and later the conditions of photo rights in Budapest. The Network of European Museum Organisations (NEMO) was founded in 1992 as an independent network of national museum organisations representing the museum community of the member states of the Council of Europe. Together, NEMO’s members speak for over 30.000 museums across Europe. The International Exhibition Organizers (IEO) is a group of experts in the field of exhibition organization and coordination. This group traces its origins back to 1999 when representatives of 7 art museums in the US formed the group of Exhibition Directors, Managers and Coordinators. By 2004, it grew to involve 64 members from 44 museums of 7 countries (US, Canada, France, Great Britain, Ireland, Mexico and Spain). From the 2004 Washington meeting evolved the second group: International Exhibition Organizers. Germany – Registrars Deutschland e.V.